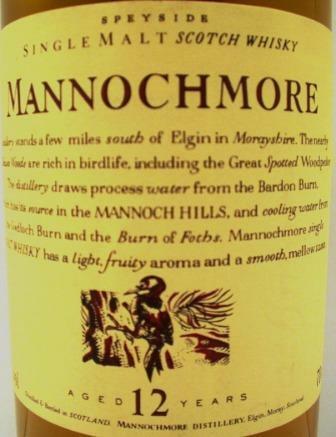 Mannochmore is notable as being the source distillery for the infamous Loch Dhu, a ‘black’ single malt marketed in the 1990s. Despite its short lifespan, Loch Dhu is now a cult product with bottles changing hands for hundreds of pounds. This is in stark contrast to the more modestly-priced standard Flora & Fauna 12yo expression, which remains the only official bottling of Mannochmore. Independent bottlings aren’t easy to find, and as you can imagine this has an affect on the price. Some of the Mannochmore Scotch Whisky bottlings do however offer some fantastic value for money especially when you compare prices here before buying.